You’ve just arrived in the heart of some fantastic European town or city. You want to be in the middle of it all and that’s understandable. Some of my most memorable meals have been near the Coliseum in Rome, San Marco in Venice, Piccadilly. Memorable because they were crap! Restaurants located on the square in any major tourist destination share one thing in common – they don’t have to cook good food because every day brings another load of tourists who are dumb enough to plop down and take in the view and an amount of overpriced food and drink of exceptionally poor quality. 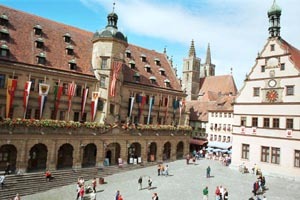 In Rothenburg ob der Tauber, where we live, the places around the square and up and down Herrngasse are all exceptionally bad. 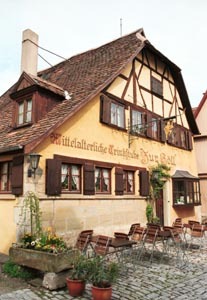 For truly great food, go to ‘Hell,’ our favorite small pub on Burggasse near the Crime and Punishment Museum. Klaus and Uli serve food that, while not cheap, is exceptional in taste and presentation.